A letting agent based in Sutton Coldfield near Tamworth in Staffordshire has just advised all its landlords about the new legislation, due in January next year. Boilers with concealed flues will have to be turned off until inspection hatches have been fitted, according to regulations due to come into force from January 1st. Gas Safe checks on boilers have to examine flues as well as boilers since a flue in poor condition combined with a faulty boiler can lead to risks from carbon monoxide poisoning. The type of flue that is of most concern is the ‘room sealed fanned draught’, a flue that is sealed away from the room in which it is located. This arrangement makes safety checks rather difficult but engineers still have to check the flue as part of the check. The issue of concealed flues first came to light in 2008 following a fatal carbon monoxide poisoning incident. As a result of the fatality the Health and Safety Executive (HSE) issued a Safety Alert concerning flues in concealed areas (‘voids’). This resulted in revised guidance being published in 2010 and most likely concerns properties built since 2000, most of them flats and apartments. “As boilers and systems age, it becomes increasingly important not just to have systems checked for safety, but to prevent problems by having them serviced” Sue added. If you believe that your boiler has a concealed flue, you should therefore get in touch with a Gas Safe engineer in order to have the modifications installed immediately. Gas Safe is also warning students about rogue landlords who are ignoring their responsibility to have their properties central heating inspected as required. New research has found that some landlords are deliberately, and illegally, ignoring the issue. 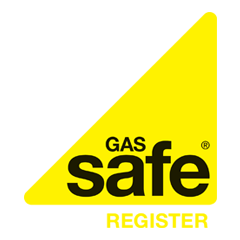 Gas Safe are requesting students to ask their new landlords for their Gas Safety Certificates before they move in. Is the Landlord or Tenant Responsible for the Boiler?